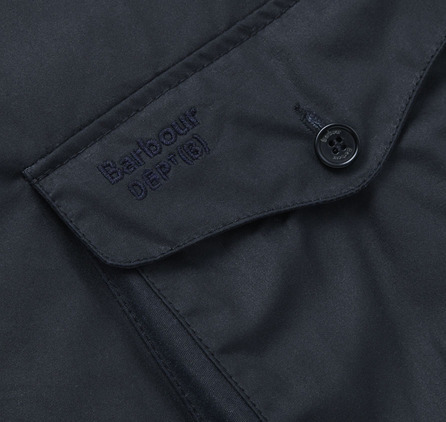 The three-pocket waxed Beacon Sports jacket is an iconic blazer-style button through, inspired by the limited edition Barbour Sports Jacket worn by Daniel Craig in the James Bond film, Skyfall in 2012. 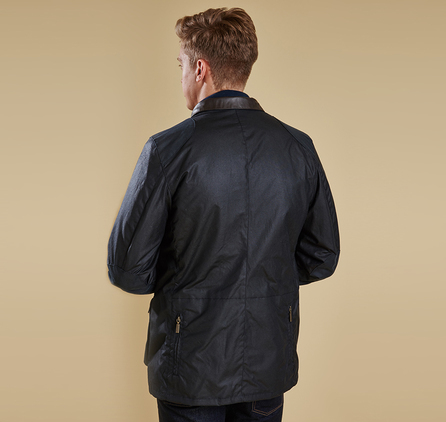 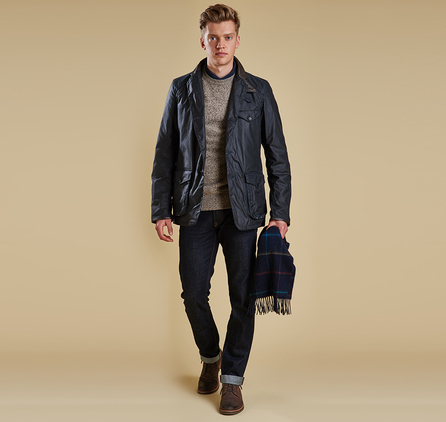 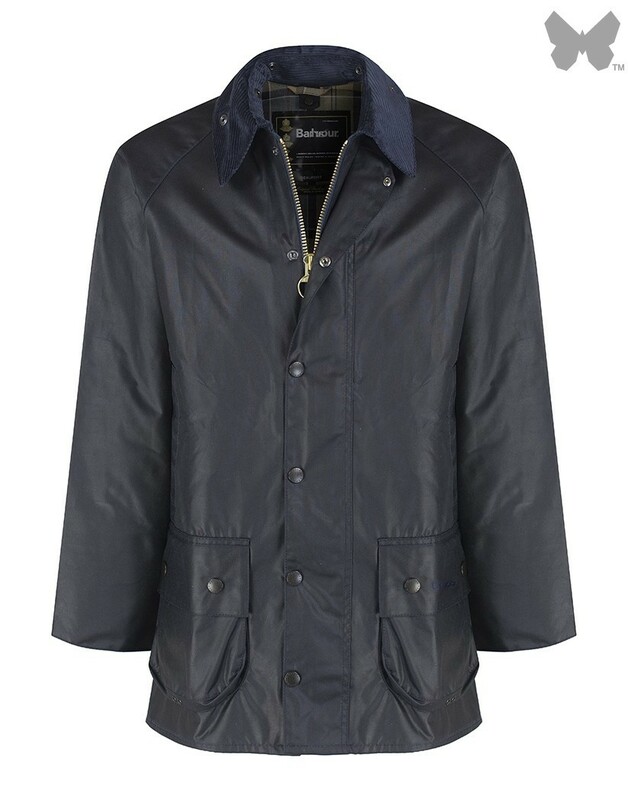 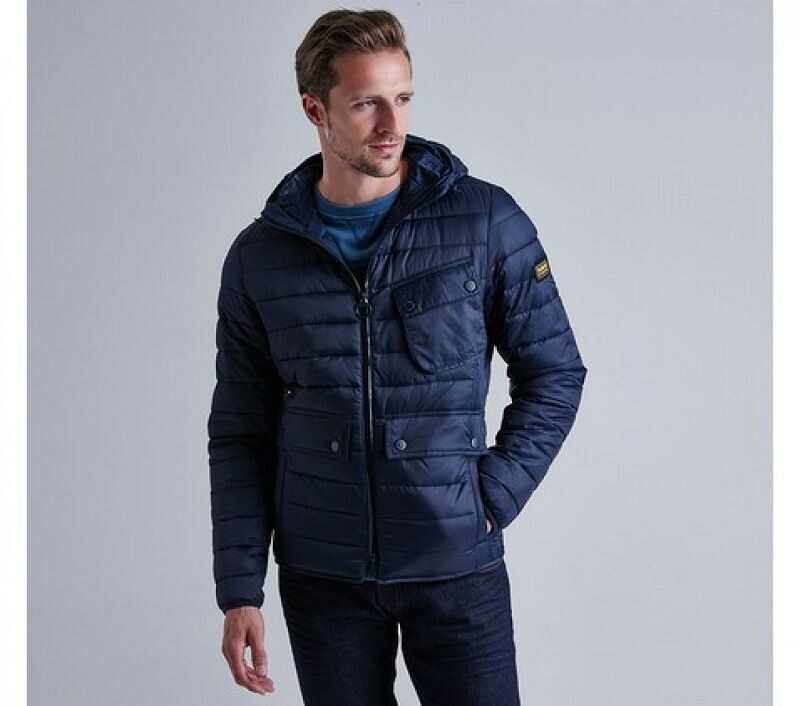 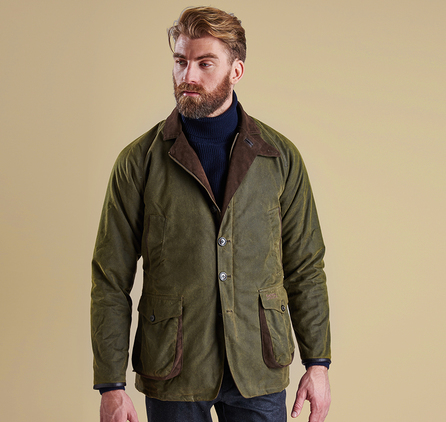 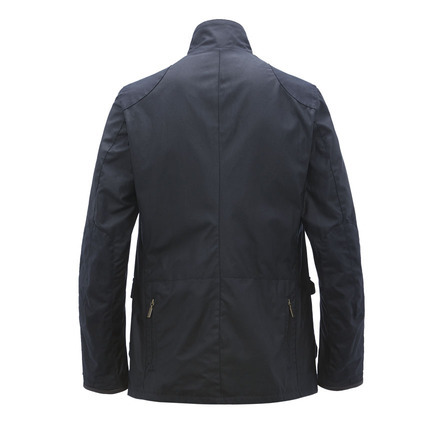 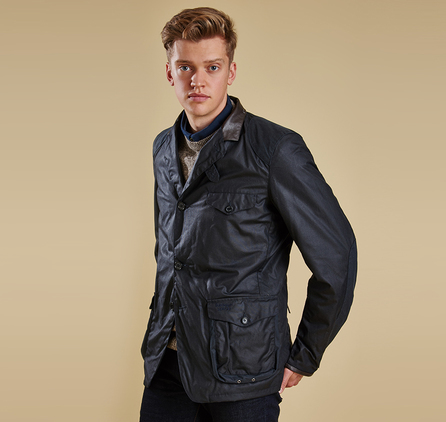 Effortlessly stylish and easy to wear, the Beacon Sports Jacket is a mediumweight waxed cotton jacket featuring soft leather-bound cuff edges, shoulder and elbow patches, two zipped rear pockets and a button-up throat flap. 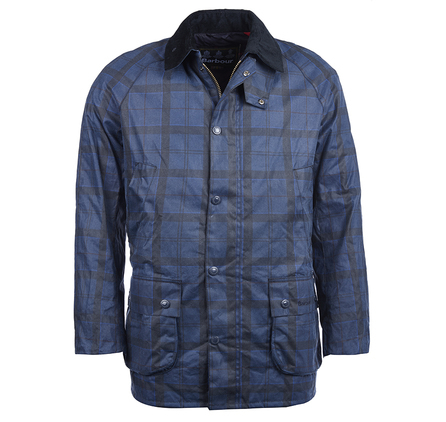 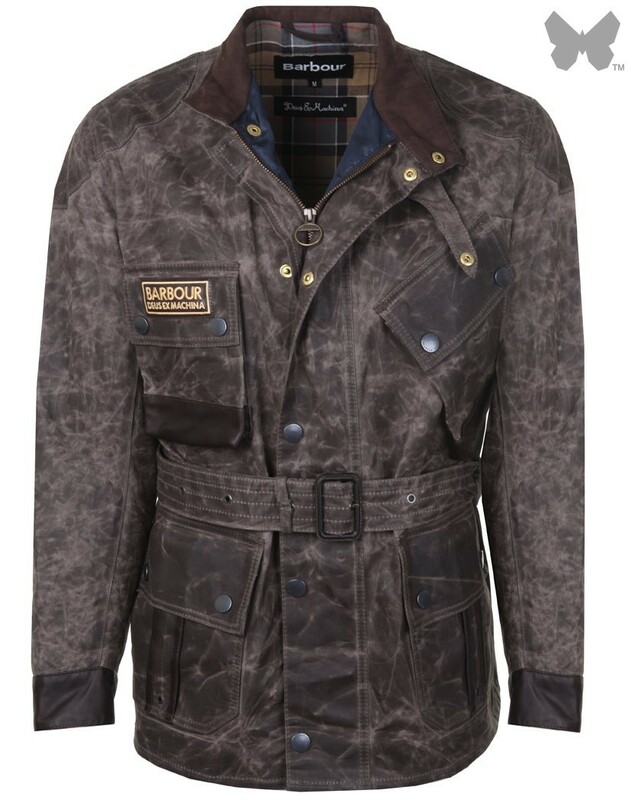 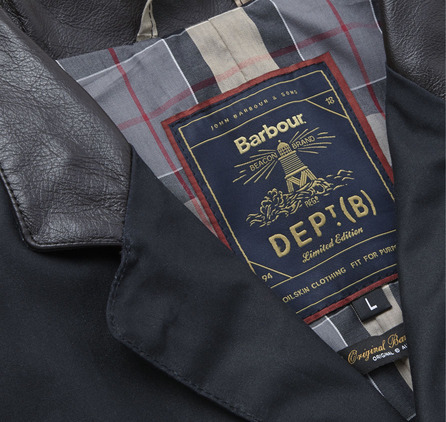 Lined with Barbour tartan, this jacket reflects traditional Barbour elements, with classic hip-height bellows pockets and a single chest pocket. 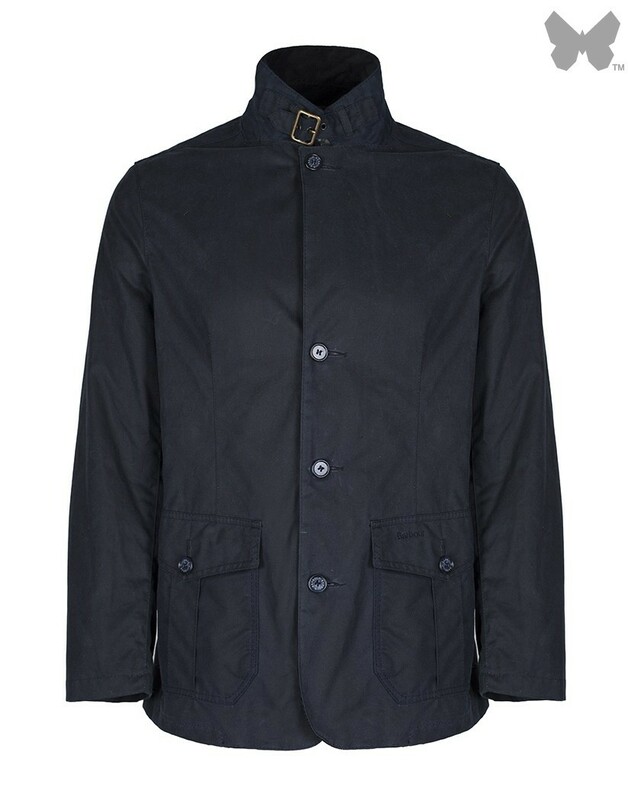 This jacket is surprisingly versatile, and looks great worn as a blazer with the collar folded down and lapels open, or with the collar turned up worn over a fine-knit jumper and scarf for the authentic ‘007’ look. 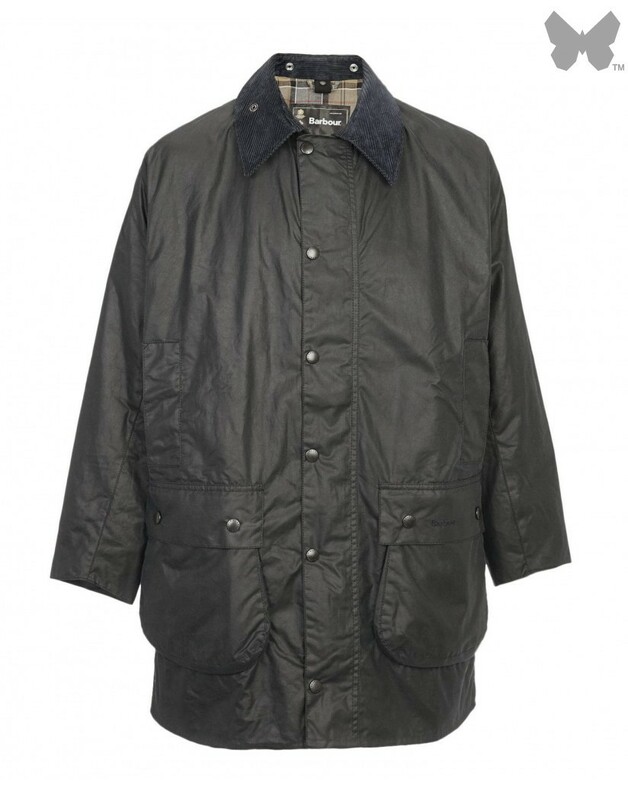 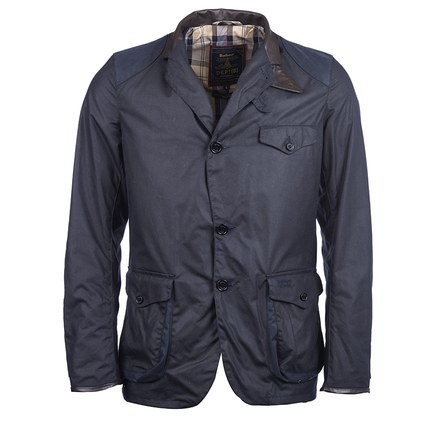 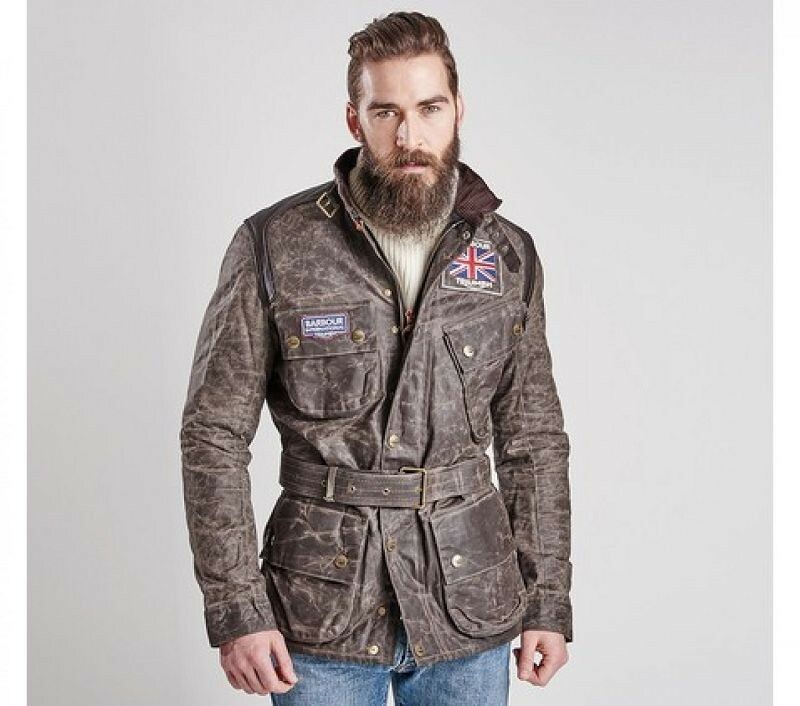 The Beacon Sports Jacket is available from the distinctive Dept. 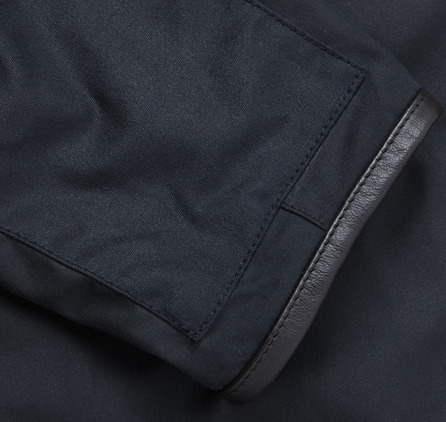 B menswear collection.